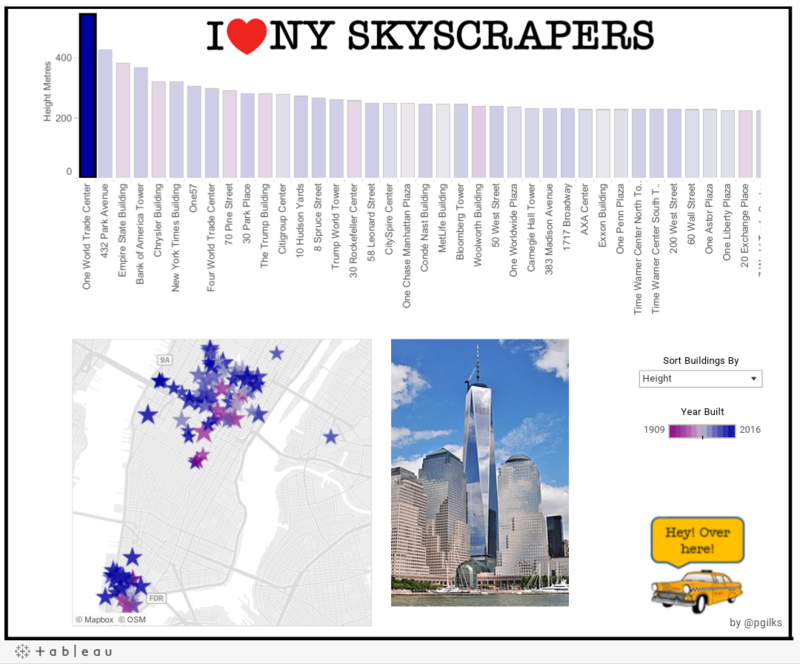 There’s a lot of different ways to incorporate images into dashboards: as dashboard objects, background images, custom shapes, or, as Peter Gilks has done here, as web objects. The advantage of using a web object is that you can set a URL action to change the picture. Here, clicking on a bar displays that skyscraper’s image. This provides great context and using a web object saved Peter the hassle of dealing with all those custom shapes. Peter explains how this is accomplished in Use Case 4 of his excellent Rough Guide to Dashboard Actions. 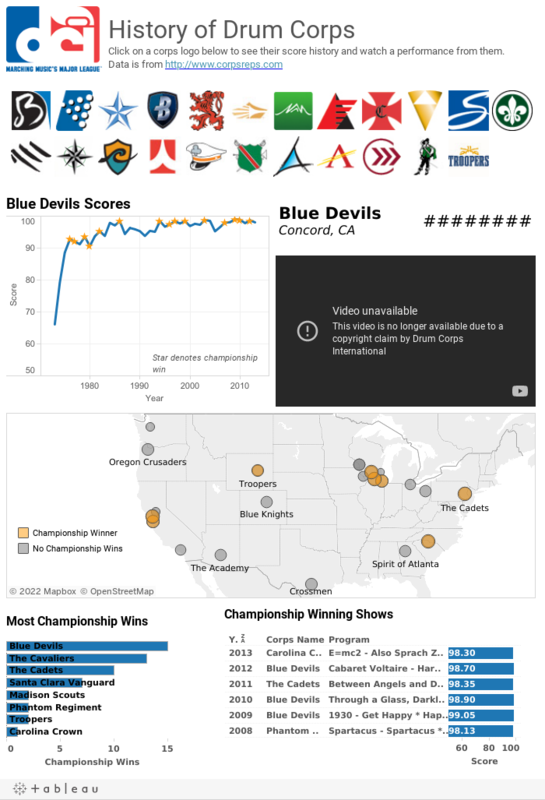 When I made this dashboard about Drum Corps International (DCI) I realized that many (non-geeky) people had no idea what I was talking about. Embedding a youtube video was a great way to provide some context about what DCI actually is. Even better, I dug up videos of each corps so that you can compare their style, as well as videos for the top scoring shows of all time so that the viewer can see what made them so magical. Ben Jones has an easy to follow tutorial on how to implement this on DataRemixed. If you are making a viz about something location based, adding in a Google street view or satellite map can really add some good context about what you are looking at. 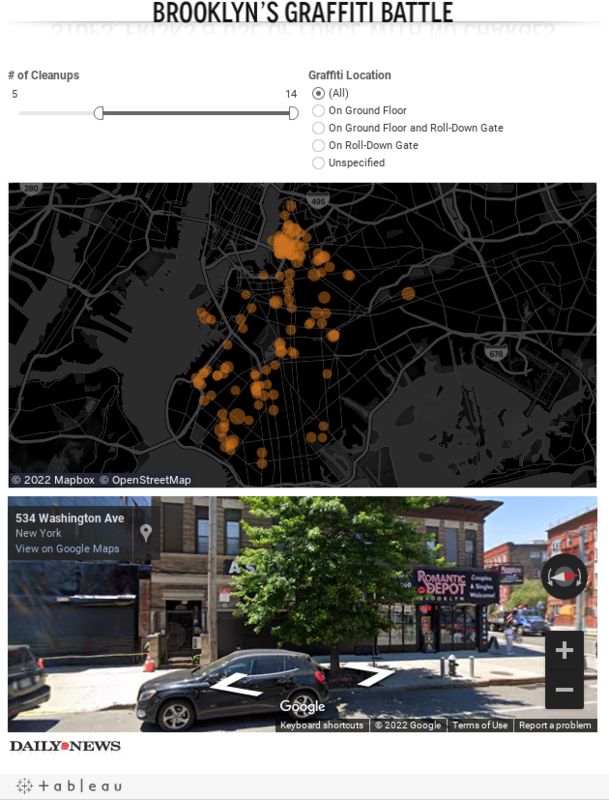 For example, in this viz about graffiti in Brooklyn, adding the street view enables the user to see what spots keep getting hit and often gets to see some of the graffiti. This is a slightly more advanced technique than a simple URL action, but Nelson Davis has some great info about how it works. 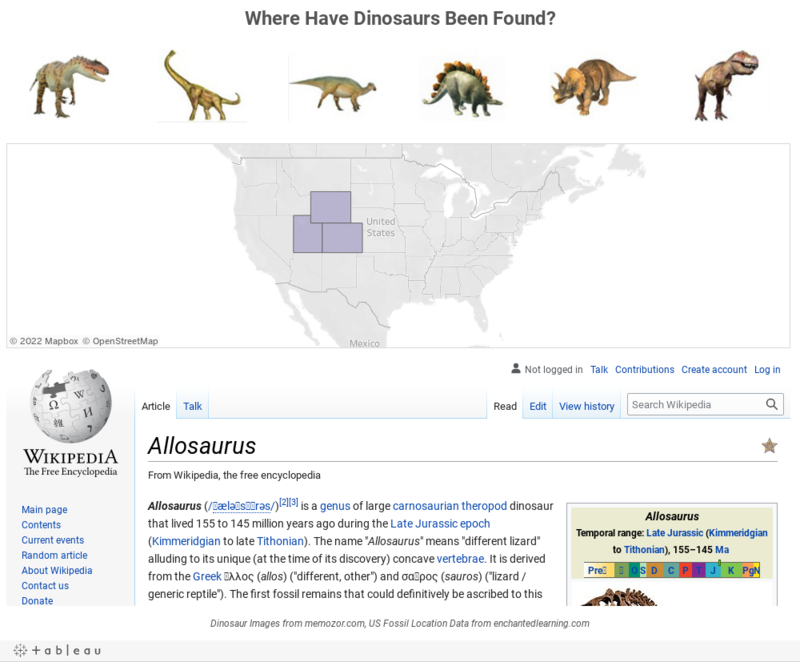 This use of URL actions comes from Clara Siegel who embedded Wikipedia pages into a dashboard to provide more information about the dinosaurs in her viz. When you are working with data on a topic that a lot of people might not know enough about, a good wiki page can really help. Another quick tip: if you don’t have space for a whole webpage like Clara’s viz, try using the mobile version of the site which will fit in a much smaller dashboard object! A big reason why this excellent dashboard from Shine Pulikartha won the Wiki Data Viz Contest was his innovative use of URL actions to change sound files that played a narration. 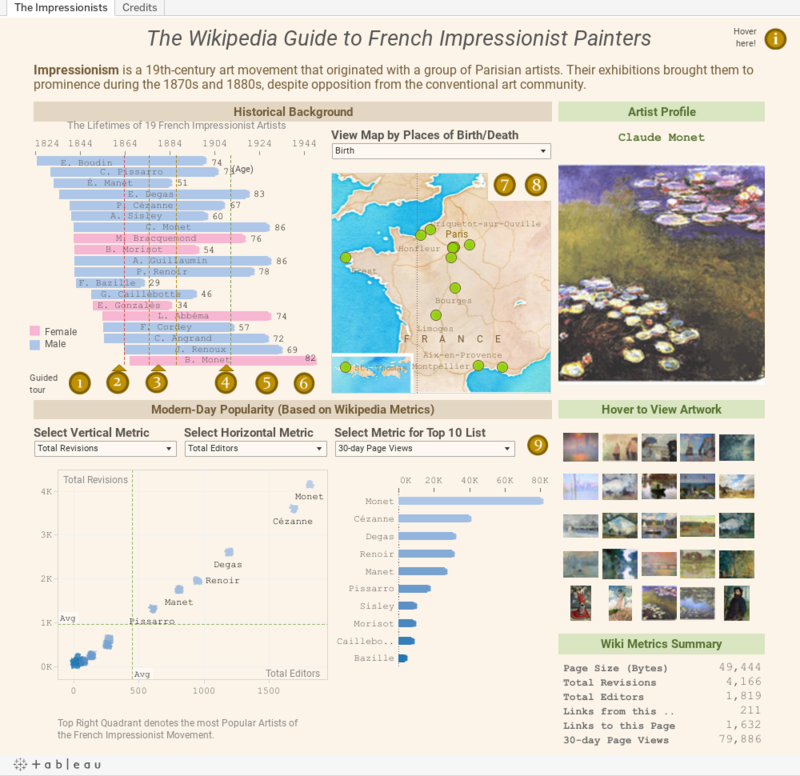 Through his narration, this viz becomes almost an entire course on French Impressionism. He hosted his sound files on Google Drive and linked to them that way, but people have also had success with Soundcloud and Spotify.